Arizona Justice Project is participating in the 2018 El Tour de Tucson! 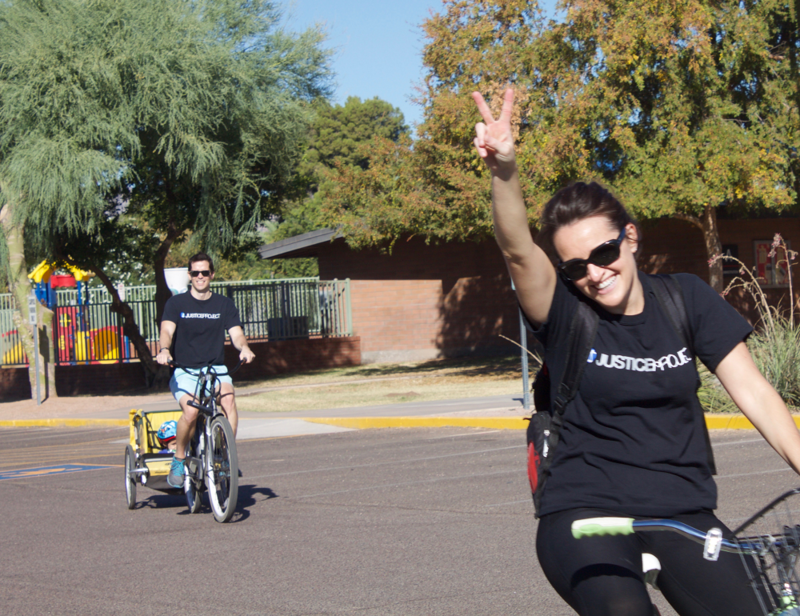 You can support the Arizona Justice Project by riding in El Tour de Tucson or donating to our Justice Riders team! (a) Fill out the El Tour de Tucson application form and waiver here. (b) To secure registration on our team, please send your completed application along with your Entry Fee of $145 (Main Event) or $25 (Fun Ride) to the Arizona Justice Project (address listed below). (d) Registration closes on October 31, 2018. AJP must receive your application by October 31, 2018. Thank you for your support! If you have any questions on registering for the event or getting your racing information please contact Megan Ealick at 602-496-1046 or email megan.ealick@azjusticeproject.org.